Introduced in 2003, the seventh-generation Rolls-Royce Phantom was a comeback car for the English brand, which had been recently acquired by BMW. The car had been updated during its 14-year production run, but it’s time for a new model. Today, Rolls-Royce is presenting the Phantom VIII, an new car that rides an an all-aluminum spaceframe chassis for the first time. And like the last Phantom, this isn’t an embiggened BMW—it’s a proper Roller, as the Brits might say. Rolls-Royce calls this alloy spaceframe the “Architecture of Luxury,” and it’s set to underpin all of the company’s future models. Rolls-Royce notes that this architecture is lighter and stiffer than before, but don’t think the Phantom is a lightweight now. Both the short- and extended-wheelbase Phantoms weigh nearly 6000 lbs. 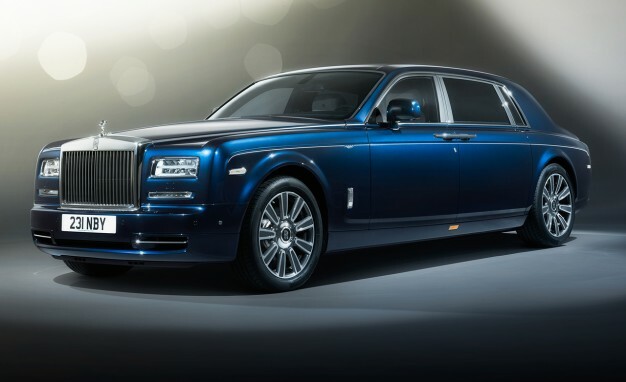 A full 286 of those pounds is just sound deadening, which Rolls-Royce says helps make the Phantom the quietest car in the world. The ride should be pretty plush too, thanks to new self-leveling air suspension that uses a camera to “proactively” make ride adjustments up to 62 mph. In front, Rolls-Royce will finish the dashboard—which its now calling “The Gallery”—with combinations of silk, leather, wood, and metal, but there’s a more interesting option. You can actually commission an artist of your choice to create their own dashboard designs. Rolls-Royce worked with various artists to create examples of these custom dashboards, which include one with an oil painting, and one with porcelain roses. If that’s not luxury, I don’t know what is. Pricing hasn’t been announced yet, but this is one of those if-you-have-to-ask sort of cars. If you want the ultimate in luxury, it’ll surely be worth every penny.